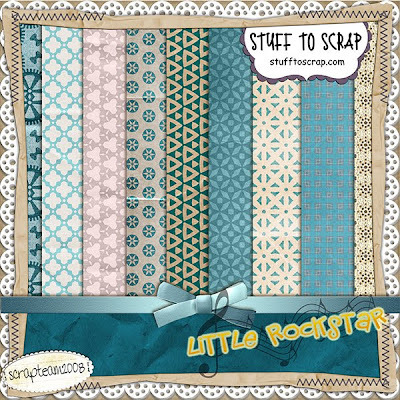 You must check out this cool new kit by Scrapteam2008 called Little Rockstar. 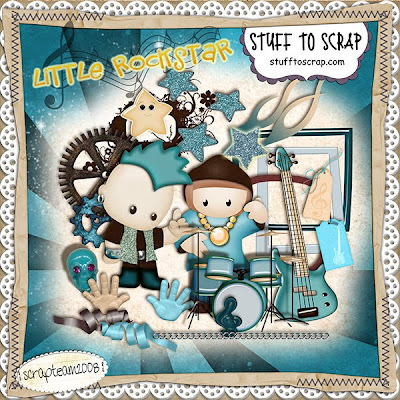 This is a kit for little boys who love music , play an instrument or dream to be a rockstar. It contains 10 patterned and 4 solid papers, 46 elements and an uppercase alpha with numbers and punctuation. And while you're getting this kit, be sure to check all her other great products in her STS Store. Do you want to win this extra paper pack that goes with the kit? Blog about the kit and link back to this thread in the STS Gallery. Every blogger wins the paperpack.